Companies typically spend most of their effort and resources on customer acquisition, even though the cost of retaining an existing customer is 5 times lower than acquiring a new one. Customer retention is a measure of how many of your customers continue to buy from you over time and are therefore loyal to your brand. 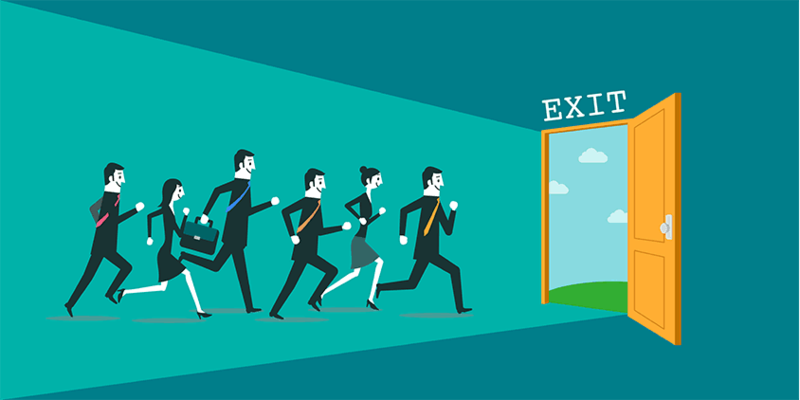 Churn, sometimes known as customer attrition, is at the opposite end of the spectrum, i.e. how many customers stop buying from your company. Industries that use a subscription-based business model have traditionally focused more on churn than others. Banks, telecom companies, insurance firms, energy services companies, are among the many types of businesses that often use customer attrition analysis and customer churn rates as one of their key business metrics. With the rise of businesses based on recurring revenue models, such as Software as a Service (SaaS), churn has become an important business metric for software companies. In this blog post, I will look at the different types of churn, review how to calculate churn and, most importantly, discuss new ways to reduce churn using journey analytics. You can’t reduce what you don’t measure, so the first step is to calculate your customer churn rate. There are several different ways to calculate your churn rate. Netflix was even sued by its shareholders over the way it reported churn rates. The shareholders’ argument was that Netflix used an improper calculation that resulted in an artificially low churn rate. The case was thrown out by a judge, ruling that there is no single, industry-wide measure of calculating churn. So, let’s start by defining two ways to measure churn: customer churn and revenue churn. Customer churn is the proportion of contractual customers or subscribers who leave a supplier during a given time period. Revenue churn, on the other hand, is the proportion of recurring revenue lost in a given time period. Revenue churn is commonly used in SaaS and other business models that rely on recurring revenue models. Next, I will describe basic methods of calculating your customer churn and revenue churn rates. For a more nuanced explanation, read this post by Recurly or this one by Evergage. To start, choose a time frame for your calculation. Companies typically calculate monthly customer churn rates but you could also do quarterly or annually. In this timeframe, determine the customers lost and divide it by the total number of customers at the beginning of the month. * Avoid including new sales during the month. Revenue Churn Rate can be calculated in two flavors: gross and net. To calculate your gross revenue churn rate, start by choosing a timeframe. In your chosen timeframe, determine the revenue lost from existing customers and divide it by the revenue at the start of the timeframe. Net revenue churn also takes into account increases in revenue due to up-sells to higher cost subscriptions and is a critical indicator of the health of a SaaS business. Net revenue churn can be confusing, because positive numbers are bad and negative numbers are good. A strongly negative net revenue churn means that a company’s revenue would increase even if there were no new sales. If net revenue churn is near zero, then churn erases the growth from upsells, so all growth must come from new customers. If it’s positive, the company’s sales team must work harder to overcome revenue leakage from existing customers. 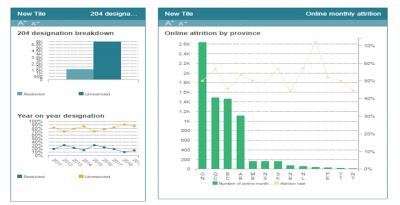 Customer journey analytics tools can be used to calculate churn rate directly in real-time. 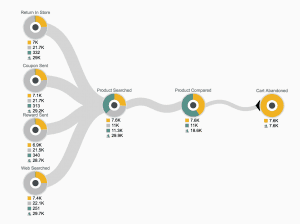 The beauty of this calculation is that you not only get the quantitative metric of churn rate but can actually visualize it through the customer journey, knowing precisely the steps that led to customer churn. 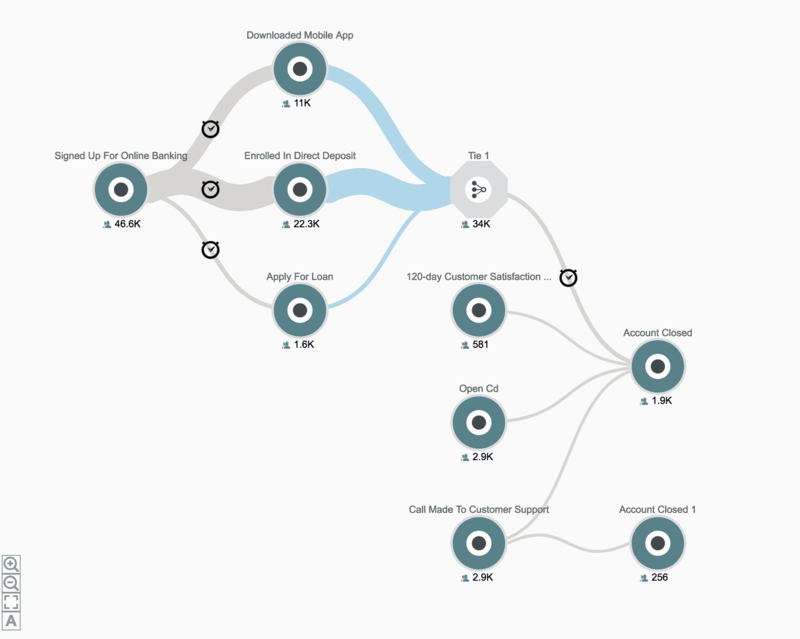 The diagrams above show customer churn for a retail bank, visualized both in terms of journey steps and as a quantitative metric measured monthly over a 2-year period. Churn can be divided into short-term, mid-term or long-term depending on how long the customers have been active before they decide to discontinue and cancel the service. Short-term churn is when customers churn after the initial few months. Short-term churn rates are typically high as customers test out different products and decide whether or not it adds value or they like it. A lot of companies have discovered that reducing short-term churn comes down to finding the right fit between the customer and your product and proving value of the service to them quickly. When your short-term churn rate is extraordinarily high, examine your sales and marketing funnel to see if you’re targeting the right customer segment. Mid-term churn occurs when customers have used the product for a few months and have had a chance to evaluate, understand and experience it. Improving mid-term churn rates is about keeping customers engaged and interacting with your product and giving them reasons to keep coming back. This can be done by adding features, providing a consistently good customer service and maintaining regular communication. Long-term churn happens when an established customer with a long history decides to cancel your service. To keep customers engaged over the long-term, you need to reinforce the core value of your product consistently. Look for up-sell and cross-sell opportunities to keep them invested and interested in your product. Prevention is better than cure, right? Some customer groups, and more importantly, some customer behaviors are more predictive of churn than others. But it is hard to spot these behaviors proactively and in real-time so you can take steps to make these at-risk customers stay. Companies are using customer journey analytics to improve their ability to identify at-risk customers and thereby reduce customer churn. By gaining a data-driven understanding of customer preferences and the best ways to reduce friction in particular situations, companies can more easily identify and prioritize opportunities for improvement. 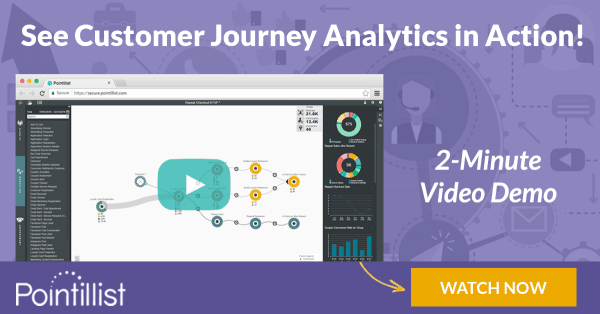 Using predictive analytics and machine learning algorithms, journey analytics can help identify which customers are most likely to churn, thus providing you with valuable data to turn the situation around. Customer churn is particularly troubling for the telecom industry due to slim margins and saturated markets. At any point in the customer journey, telecom customers are only a click away from switching to a competitor if they are not happy with the level of customer service provided. Telecom companies are now using customer journey analytics to pinpoint problem areas such as customer care calls and analyze how to improve them or provide alternatives via self-help methods. This has resulted in improved NPS (Net Promoter Scores) and lower cost to serve. As described in Deloitte’s 2017 Retail, Wholesale, And Distribution Industry Outlook Report, a leading US-based wireless provider used customer journey analytics to determine the probability of a customer calling in for a certain support issue across all online support channels. Agents now proactively know what issues need to be resolved, how the subscriber tried to address the issues, and how best to deliver an improved customer experience. After operationalizing customer journey analytics, the time customers spent in the interactive voice response unit (IVR) decreased by 67 percent. This had a positive impact on customer satisfaction index (CSAT) and customer effort (CES) scores, customer retention rates and top-line revenue. According to Deloitte, a one-half of one percent increase in customer churn or retention is worth an estimated $1.3 billion in revenue to this telecommunications company. 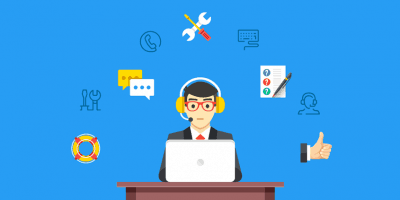 In addition, the company reduced call center volumes by 30 percent which saved 15 dollars per call without negatively impacting service levels. 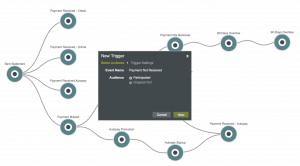 You can use customer journey analytics to find those particular touch points that prove to be an obstacle in the customer journey, putting customers at risk of churning. 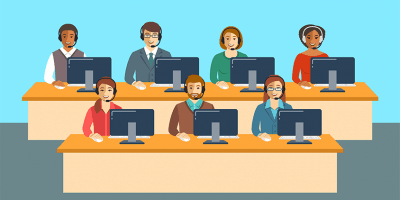 A call into your call center to sign-up for a new service, for example, may be a point at which most customers are abandoning their journey. However, a deeper investigation could reveal that the average wait time for a particular set of customers is higher than average. Now you can take remedial steps and monitor the journey to see if there have been improvements in the signup rate for these customers. Moreover, by employing customer journey analytics your efforts to woo back your former customer are significantly more likely to succeed, as you reach out to them with the right message through their preferred channel within the right timeframe. Even if you fail at winning back that customer, the information you gather will help you take proactive steps before customer churn becomes a more significant problem. 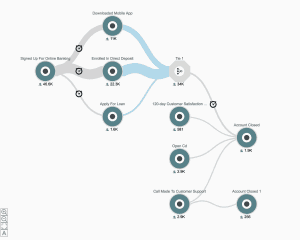 By mapping the customer journey you are able to analyze the complete experience from end-to-end in the eyes of your customer. Different customers will have different experiences and you will visually be able to see each one, the various touchpoints encountered and the actions taken from there. But too often people take shortcuts and rather than taking the time to discover the entire journey, executives focus on only the last event that occurred before the customer churned. In reality, poor experiences accumulate over a period of time. An incorrect bill, repeated follow-ups, poor installation, non-personal customer service are all factors that erode your customer’s confidence and trust. As a result, they are primed to churn when they receive an attractive offer from your competitor. If you are not discovering the entire journey but only focusing on the last interaction, you will reach inaccurate and misleading conclusions which will do nothing to stem the tide of leaving customers. Customer journey analytics can pinpoint the drivers of customer satisfaction in a way that traditional analytics cannot. By understanding and quantifying what matters most to your customers, you can consistently provide a superior customer experience and measure their impact on customer churn and other key quantitative metrics like online sales, repeat purchase rate, and others. Let’s face it – all customers aren’t equal, and while you may want to retain all, your resources aren’t unlimited and you need to focus on the most profitable ones first. Customer journey analytics plays a big role in this endeavor by providing a detailed, quantitative picture of the entire customer journey, how they interacted with the product, the problems they faced and the resolutions at each step along the journey. Using customer journey analytics, you can group your customers into segments defined by profitability, readiness to leave and the likely response to offers to stay. In this way, you can reduce customer churn by better predicting it. If you’re going to work hard to retain your most profitable customers, then another way to reduce customer churn is to be laser focused on acquiring customers that are less likely to churn. No matter how deep and sophisticated your retention strategy, it will be a huge waste of resources if you are attracting the wrong audience. It is imperative to make sure you are targeting those customers who are the best long-term fit for your product and can see the value in it. 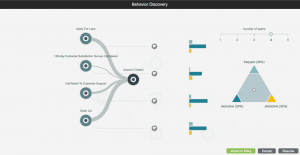 Customer journey analytics tools can help you better target and segment customers based on behavioral, demographic and product attributes. 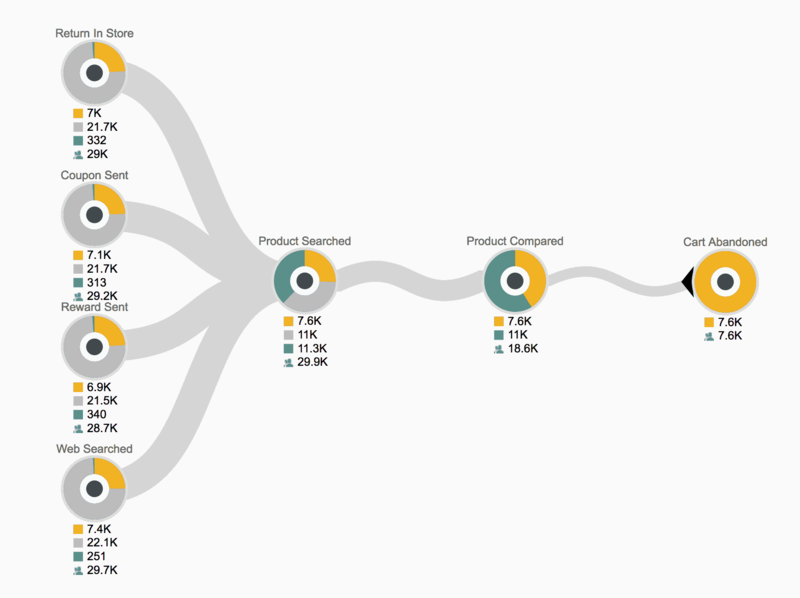 Journey analytics tools discover the most predictable paths and the key attributes of prospects who eventually turn into long-term, profitable customers. Armed with this information, you can more precisely target the right audience, set the appropriate customer expectations and significantly reduce the possibility of eventual churn. But you’ll be surprised how many companies only communicate with customers when they either want to upsell or when the customer is breathing fire. Satisfaction Survey – Conduct short, open-ended customer surveys which let customers voice their opinions in an easy, convenient manner. Social Media – Be present and answer questions through all your social media channels. After all, your customers spend most of their time on social channels, so why wouldn’t you be there too? Feedback Bar – Incorporate a feedback bar into SaaS products and mobile apps, so customers can ask questions, comment on features or give feedback as they are using the product. 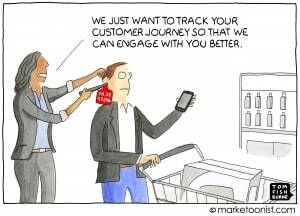 Customer journey analytics can help you optimize omni-channel journeys by automatically engaging with each customer at the best time, and in a relevant, personalized way. By embedding triggers at any event along the journey, you can activate engagement (such as an email send) to your target customer group. 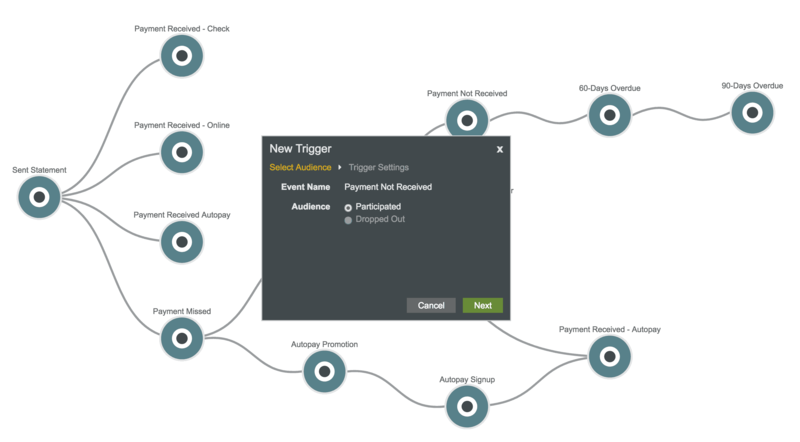 Advanced customer journey analytics platforms integrate with commonly used marketing tools, so you can engage with your customers as you improve your marketing technology stack. Customer journey analytics is the best approach to help you quickly identify problem areas throughout the customer journey. 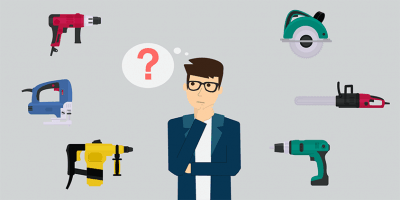 These problem areas could be caused by flawed and inefficient processes inconsistencies in your user experience, lack of personalized service, bugs, or a whole host of other things. By using these data-based insights, you can now decide on the appropriate steps to take to mitigate these customer experience issues and create experiences that reduce customer churn and suit the best interests of the customer. An insurance company used journey analytics to discover a major operational inefficiency in the way it handled the claim filing process for customers who suffered an automobile accident. The process of filing claims was long and tedious, with a number of lengthy interactions required with the loss adjuster. This led to high customer dissatisfaction, so the insurer invested the time to understand and analyze their customer’s journey. To resolve this customer experience hurdle, they created a new mobile app, which reduced the time to complete the entire claim filing process to a matter of minutes. The app sends messages to customers, updating them on the status of their claim and providing real-time processing and cash payout.The insurer even went a step further and enabled customers to directly make appointments with repair shops using the app. As a result, the insurer found that taking care of a distressed customer in the wake of an accident was an opportunity to not only reduce customer churn but also to build loyalty. A lot of companies pay lip-service to the concept of creating a customer-centric culture in the organization. But real change comes when you put resources behind it, measure it and share the results across the organization. 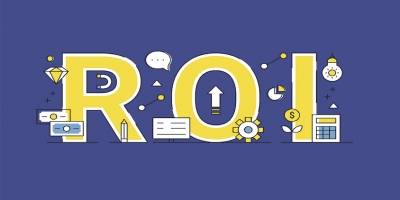 One highly effective idea is to connect compensation to important customer experience metrics such as churn rate. This creates an organization-wide focus on the issue. 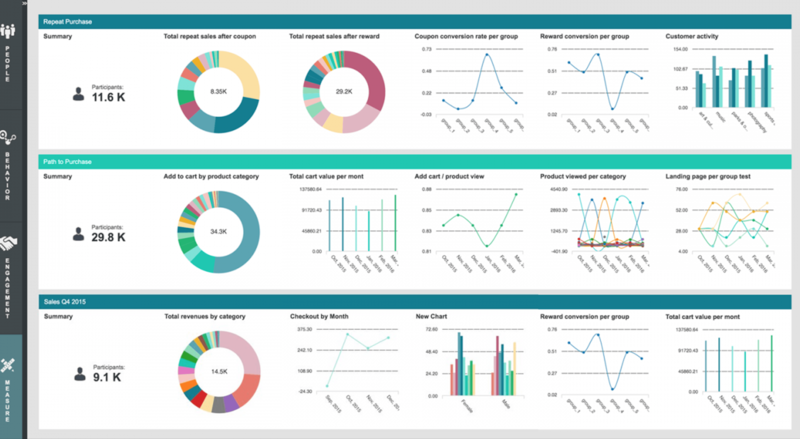 Use customer journey analytics to monitor these KPIs in real-time and over the long term through dashboards. 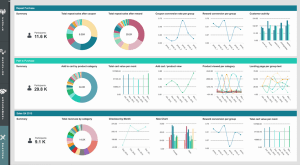 Share these metrics regularly across the organization. In addition, when hiring new employees (even those in non-customer-facing roles) look for customer centric attributes and skills. Invest resources and time in training and supporting employees to be customer-focused. Give your employees the power to do what it takes to meet and exceed the customer experience standards you have set and reward those who consistently shine in this aspect. To reduce customer churn and become customer-obsessed is a technological, organizational and cultural shift. It requires consistent effort and focus over a period of time. The results may not be immediate but they are decidedly sweet. Customer journey analytics tools help you identify problems and at-risk customers, discover profitable customers, build quantitative links and help communicate with customers in a relevant, personalized manner. Is reducing churn a focus in your organization? What methods are you utilizing to accomplish it? Share with us by leaving a comment below! Thank you John, glad you found this post and our website useful. Excellent article on effective and specific ways to tackle the worrisome problem of churn. Thank you Susan, glad you enjoyed the article. Churn is definitely a growing problem and in order to tackle it, a journey-based view is critical. Thank you! Glad you enjoy our site experience and find our content useful. Yes, you will receive an email when we publish a new post if you have subscribed to our newsletter.